British WW1 RFC or Army fur gloves. 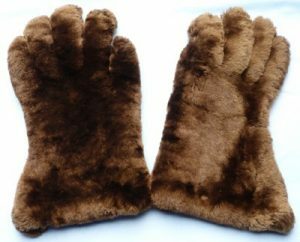 An original pair of excellent condition WW1 British Royal Flying Corps or Army officer's fur gloves. Very soft fur and lined inside. Complete with original period postcard showing British Army Officers wearing fur-lined gloves.